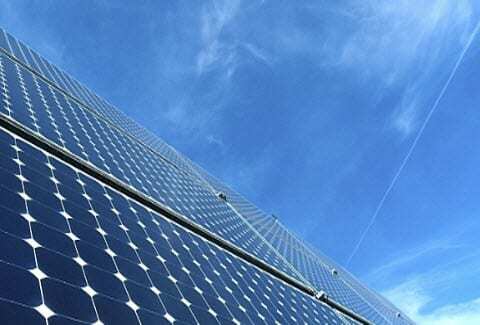 Scientists from the Massachusetts Institute of Technology (MIT) have produced new, highly efficient solar panels. The scientists believe that these MIT researchers develop new technology to benefit solar energy are capable of tracking the movement of the sun as it travels throughout the sky. This means that the panels have a greater potential to generate electrical power by gathering sunlight. The panels have been designed for use in solar towers and may help unlock a brighter future for the solar energy sector. According to the MIT team, different configurations of the panel design were able to increase electrical production by as much as 20 times more than what conventional panels can produce. The panels also offer a more consistent flow of electrical power, making them more efficient than photovoltaic systems that are commonly used today. Unfortunately, the new panels cost more than their conventional counterparts, but their ability to produce more electrical power may offset this particular drawback in the future. Solar towers may also save space, as they can be erected side by side rather than in arrays that encompass a significant amount of land. Researchers from MIT believe that the new design of the solar panels has been made possible by the drastic reduction in the cost of photovoltaic technology. Over the past 10 years, the cost of this technology has fallen due to better manufacturing procedures and a quickly growing market. Researchers believe that photovoltaic technology will continue to become less expensive, making it easier to use innovative solutions. Solar energy is becoming a more popular form of clean power. As such, efforts to improve the capabilities of solar panels are gaining momentum. Improving photovoltaic technology may make solar energy more attractive for those interested in clean power. As the cost of solar technologies continues to fall, researchers throughout the world may be able to develop new systems that are able to leverage the power of the sun in a more efficient manner. Any type of solar panel which tracks the sun is going to be mechanical in nature which means the cost of not only is stalling but maintaining it will probably double if not triple. The fact that this new technology only increases power generation by 20% means that it simply isn’t cost-effective… at least not at this point.